Example Deals: Is This A Good Price On A House In California? 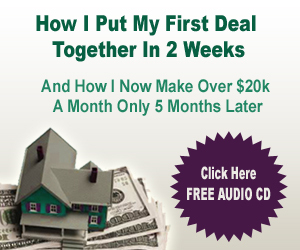 I’m going to show you how to determine the value of a property. I’ll actually take you to a website online where you can get the information you need for free. I’ll also help you understand the limitations of these websites. 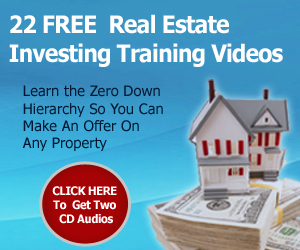 Once you understand how to value these properties, you then need to learn how to determine if they make sense to buy. This video will explain it all. PS – If you make comments and ask questions on the post, I will answer them. By the way, there are some good reasons to make COMMENTS and ask questions about my blog postings. First of all, I want to hear them and am willing to personally answer questions. Second, they help me get better search engine positioning. BUT… third, and most important to you, if you have a website, you can put the web address in the comment and it will provide a link back to your site. 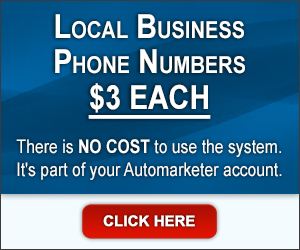 Search engines see this and will rank your site higher. So it benefits us both. Make sure the comment or question is relevant and not an ad for your site. I’m going to show you how to analyze a deal using online websites like Zillow and Trulia to see if it makes sense for you. Joe: Let me go over the numbers on it first and then we’ll come back to Trulia and I’ll actually show you a screen capture of this so that you can see how you can analyze some of these deals and their values based on those areas. Joe: Then, she gives all the different features of the house; 3 bedroom, stainless steel appliances, two story, newly remodeled, etc. Again, I mentioned this in the other video – you don’t need to know all of this stuff to start out with. 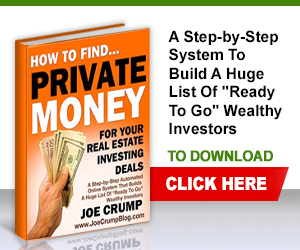 All you need to know are the numbers – can you make a profit on it? Joe: Now if you’re going to live in the property, that’s a different story altogether. Then you’re going to have criteria that you’re going to want to use to move into. But the house that you move into as a place to live is usually not about being an investment; it’s about a lifestyle choice, and that’s a very different thing. Joe: The house that I’m living in, which is also the place I’m shooting this right now from was not just purchased as an investment – it was purchased because we liked the layout, the location, the school system, the space; all of those things. You’re going to be looking at the same things. When you buy a house and you have a family, those are things that are going to be more important than the investment itself. Joe: Ultimately, with most people (which is a shame) their biggest and best investment over a lifetime was the house that they lived in. They bought a house and they lived there for 30 years and they paid it off. That’s most people’s biggest investments. That’s a shame because if you actually buy with investment in mind, you can probably do a lot better than the house you’re living in. That doesn’t mean to say that you shouldn’t be buying the house that you’re living in and paying it off, because when you retire, you’ll want to own that property so that you don’t have a mortgage on it. 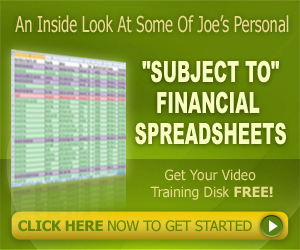 Joe: One of the things she doesn’t give us is the value of the property. There’s only two ways that you make money as an investor. One is that you buy it substantially under market value for cash and you can either assign it to another investor or you can buy it yourself. Or two, you buy it on terms because you can buy it closer to market value, or even at full market value if you buy it on terms. But you have to know what your exit strategy is. That takes us back to some of the previous videos where we’ve discussed those things. Joe: She tells me what the taxes and insurance are on it. That’s good. She doesn’t tell me what the rent would be. So what’s your exit strategy on this, Renee? Is it going to be a rental? Is it going to be a flip? Are you going to sell it on a lease option? Where are you going to make money on this deal? Joe: Let’s look at Trulia right now. I’m going to cut here. We’re going to Trulia to take a look. Joe: The reason why we’re going to this site is to kind of get a feel for what the value of these properties are. None of these sites are 100% accurate but they can give you an idea. I’m going to show you some ways to figure out what the value is based on these sites. The best way to find out the real value of a property is to be able to have access to the MLS and be able to look at comps. 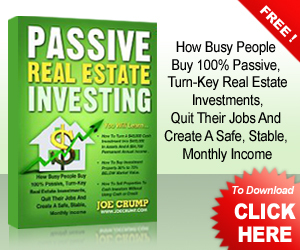 By comps, I’m talking about properties that have sold, not properties that are for sale. Joe: Now, these will give us some comps but I don’t know how accurate they are. We don’t always know where they get their information from. Sometimes they get it from public record. Sometimes they get it from other places. Public record is typically the best but even public record is wrong a lot of the time, depending on whether that property was in a foreclosure or whether it was sold by an investor, or how it was listed by the realtor; there’s a lot of variables on this. Joe: Anyway, I’m in Trulia now and I’m going to plug in the address that Renee gave us and do a search. This is a cool site. One of the things that it’s doing here is its bringing up this property as a listing. So an agent has come in here and listed this property for rent, not for sale, and this is a week or so after she sent this to stuff to me. 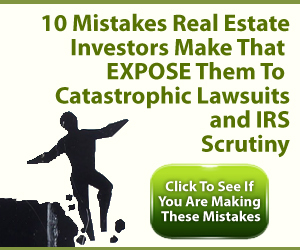 It was probably posted through Postlets, which we’ve used in the past; a lot of realtors use that. Joe: If I want to see more details about the property, I can go look at it here and it’ll give me details. On Trulia, most of the time, if it’s not listed here, it’ll actually show you what it thinks the value is. But it’s not giving us that information right now (but that’s because it’s been listed). If you scroll down the page, you’ll be able to see some cool stuff. They give you a picture of the house, and if you haven’t seen this Google Earth, it’s pretty cool because you can look up and down the street and get a whole view of this area, which is kind of cool. You can go up and down the street by just clicking on these things and it’ll take you down to the net house; all of that stuff. Joe: Anyway, you can get a feel for how this property is looking so that you don’t even have to go there. It’ll give you the school systems. This one actually gives you the agent who did it. There are some other pictures here. Not every property has pictures but because this one happens to be listed, it’s going to show you more pictures because a live person went on and did it. Most of them are not going to have all of the details we need, but that’s why we look at more than one site. Joe: The other one that we can go to is HomeGain. It’s showing the value at being $265,000-$311,000. What she was told by the seller was that they brought the price down from $285,000 from $295,000, which may very well be the case, but HomeGain is saying maybe it’s not worth $295,000 or $285,000 – maybe it’s only worth $265,000. And again, it’ll give you these values, and if you screw around in here, you can kind of find some comparable sales and see what else is for sale in the area. These are just good resources that you can fiddle around with and get to know a neighborhood. Joe: The other one that I looked at was Zillow. Zillow’s got some interesting information as well. A lot of times, Zillow is, I find, rather optimistic about the value. They’re saying that it’s worth $268,500. They’re also saying it recently sold for $262,500. But if you scroll down the page a little bit, it’ll show you some of the history here and it’s saying that it sold for $262,500 on July of 2010 which at the date of this recording, was just a few months ago, so I wouldn’t necessarily believe this. Joe: Even though it says that its public record, I don’t think that I would necessarily believe this. I’d go back a little further. Let’s look at 2007. It sold in the public record for $370,000 and then the values dropped in California after 2007 and it was listed as a foreclosure in 2009 for $232,000, which is probably accurate. Then the listing was removed and then it was put back on the listing site again, and I believe when it says listing removed and listed for sale that they’re talking about listed on Zillow. Joe: So, it was removed and then it was put back on again at $233,000, which is just right in line with where it was before, and it was probably on the market – if they had it at $295,000, then it’s possible that they bought it at $233,000 if this person recently bought the property is trying to sell it and make a profit out of it, and maybe they think it’s worth $295,000 or $285,000 and they were going to make a quick flip. Joe: If this person is an investor who’s selling it, then it’s probably a mistake that they made in buying this property, thinking they’re getting a great deal because they’re getting it for $233,000 when it once sold for $370,000. They’re trying to turn around and sell it. They put it on the market for $295,000 and it didn’t sell. They’re willing to sell it now for $285,000 to try to get it move. Joe: Now, should she buy it for $285,000? My feeling is absolutely not. I don’t think the value is there at all to make it on this property. But you can make money on this property. And the way you do that is by using the “For Rent Method” in this deal and go in and say, ‘We’ll do the For Rent Method. We will get it under a lease option agreement memo, become a principle in the transaction then I’ll turn around and assign my right to buy to another buy. We’ll get you the $1,795 a month’ (or whatever it is that they wanted for the monthly payment on this thing). Joe: Then, you go out and advertise it for maybe $310,000 and you try to get $5,000 for the lease option fee and get them their $295,000 for the actual purchase price after you do the negotiations. 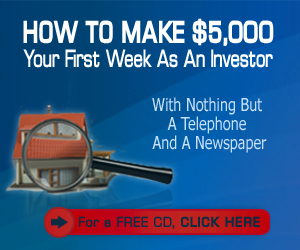 So you can make about $5,000-$15,000 on this property without too much headache, and with no risk and with no money out of your pocket. Joe: But if you try to buy it for cash for $285,000, first of all, you’d be buying it for over market value rather than under market value or maybe at market value and perhaps it is worth that, but I would want to be dramatically under market value on this price so if I were going to buy it, I would be buying it at $110,000 or $120,000 if I were paying cash for this property. So that’s my thoughts on that. Joe: I hope that helps. When you look at some of these areas on Trulia.com, HomeGain.com, and Zillow.com, and there are so many of these sites out there that have different value and if you look at several of them, you’ll see that the prices go way over the place, but they’ll at least give you a pretty good idea of other things that are selling in the neighborhood or at least what are for sale. 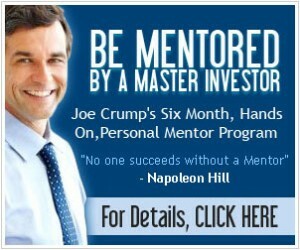 Joe: Also, you have to understand that comps are not what’s for sale right now but what has sold in the past 6 months. But if you don’t have access to the MLS, then you don’t have access to comps – to real comps that appraisers use. What you have access to is what’s for sale right now, and with some of these sites, it’ll show you things that have sold in the past. I think that most of them are pretty accurate. They’re pulling mostly from public record so most of them are pretty accurate in their assessments as far as showing you properties that have sold in the past. Joe: There are a lot of properties that I bought that I sold three years ago for three or four times as much as I paid for them and I don’t think that I could get what they went for three years ago today if I put them on the open market. But maybe two or three years from now, I will be able to get that. Joe: So keep that in mind as you do these analyses. And again, always go back to the exit strategy when analyzing the deal – is the deal going to make sense for you in the long run? I hope that helps. Thanks for the info. I’m still working with Ero on lease options & land contracts. Lately I’ve also been offering on REO’s here in L.A. It shows recent sold comps, estimates from zillow & eppraisal & a lot of other valuable details. It doesn’t cover all areas, but I find it a very useful tool in this ever changing market. 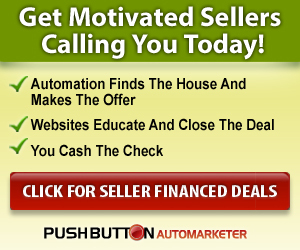 Your Ads Are Bringing Me Too Many Buyers – How Do I Automate? I Heard That No One Can Do What You Say Your Software Can Do. Does It Really Work? Can You Really Buy Houses With Zero Down Payment And Bad Credit? Can You Really Buy Property With No Money Down?